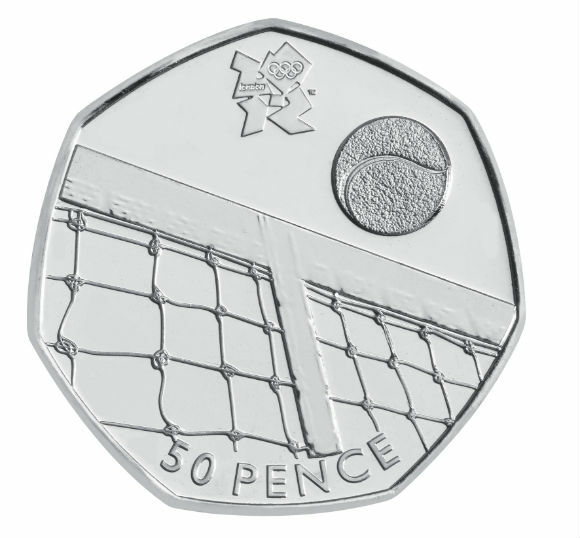 Tracy Baines, from Peterborough, designed the Tennis 50p! To be the first to hear when the free London 2012 Olympic 50p collector album is available to order: Follow us on Facebook or Follow us on Twitter. The Sailing 50p was design by Bruce Rushin. The Rowing 50p was designed by Davey Podmore. The Hockey 50p coin was designed by Robert Evans. Robert Evans, the designer of the Hockey 50p coin, lives in Cardiff and is an engraver/sculptor at the Royal Mint. He entered the competition because he is passionate about athletics and thought it was a great way to get involved with London 2012. To make sure he captured the sport accurately, Robert took a series of photographs of two hockey players from the University of Glamorgan and based his design on them.